It is with the greatest regret that we have cancelled the Carrs Lane Lectures’ day on Saturday 6th October 2018. Sadly Richard Holloway has had to clear his diary for the rest of the year on his doctor’s advice. He has apologised profusely for letting us down, hoping that we might be able to reorganise the day but, with only five weeks to go, that did not seem possible. I’m so sorry. It is extremely disappointing for everyone who was looking forward to hearing Richard, especially for those of us at Carrs Lane who have put so much into the event preparation. The priority now is to publicise the cancellation and arrangements for the refunding of tickets will be made as soon as possible. If you do not hear from us personally, please contact the church office on 0121 643 6151; office@carrslane.co.uk for further information. We are thinking of Richard and wish him well in his recovery. Richard Holloway would have been the speaker at the 2018 Lectures’ event on Saturday 6th October. His title was to be Believing, Forgiving and Dying: Our Walk Across the Stage. We are extremely disappointed not to have the pleasure of his company. 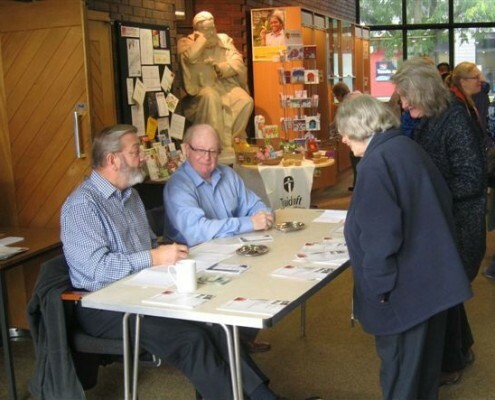 Carrs Lane has a long tradition of being on the ‘open’ wing of the Church, and in the past has played a prominent part in the development of the Civic Gospel. The Church has a continuing concern for social justice and dialogue between people of different faiths. 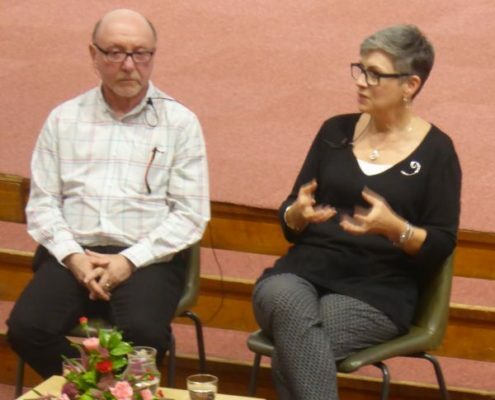 The lectures provide a platform for lively debate on liberal and unconventional views and an environment where awkward questions like these can be explored without embarrassment. The lectures have been presented annually since 2000. 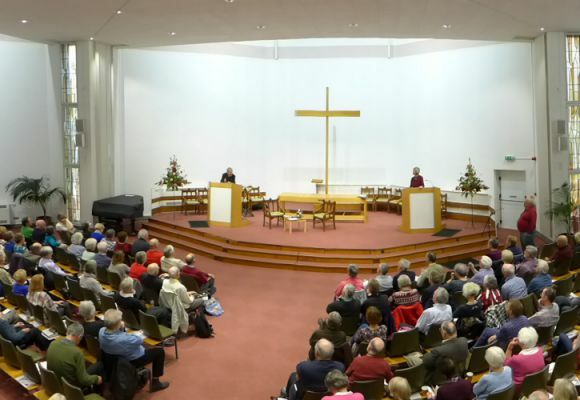 Now held on a Saturday in October, from 10am-4pm, the lectures have become a significant ’fixture’ in the Birmingham scene, for people of religious faith and none, who are asking questions. 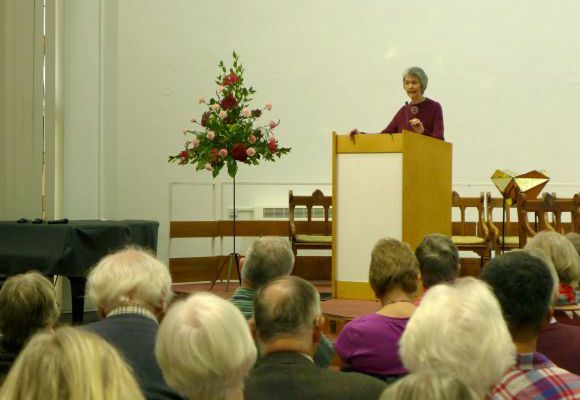 The lectures are seen as an important contribution to the Church’s mission and ministry. 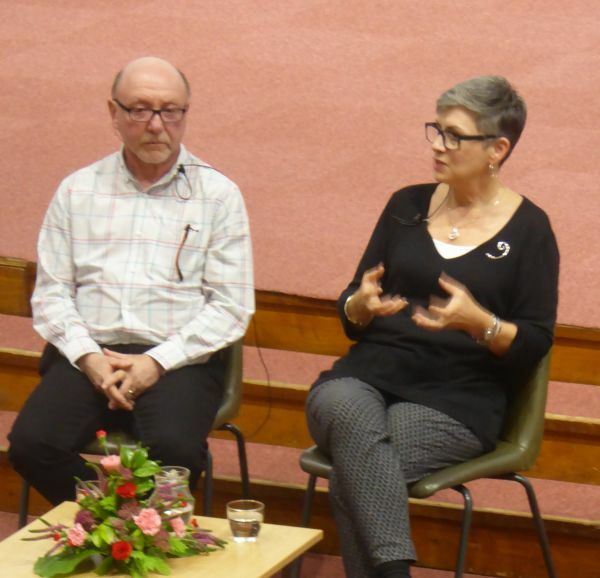 The 2017 Lectures’ weekend took place on October 13th, 14th and 15th with speaker Revd Gretta Vosper, United Church of Canada minister, a-theist and author of With or Without God and Amen, and her musician husband, Scott Kearns. There were three events over the weekend: an informal evening on Friday: ‘Atheist Ministry: we are where we are’; a full day on Saturday with two lectures from Gretta and a presentation by Scott: ‘Creating a World Beyond the Beliefs that Divide’; and a service led by Gretta and Scott on Sunday morning at the Unitarian New Meeting, Birmingham. It was an exciting weekend. DVD recording of the whole weekend now available from Chris Avis at 37 Clifton Road, Exeter, Devon, EX1 2BN, £15 including p&p. Cheques payable to C. Avis, please. Or order via Paypal using chris.avis2@hotmail.com for your payment (no Paypal account needed). 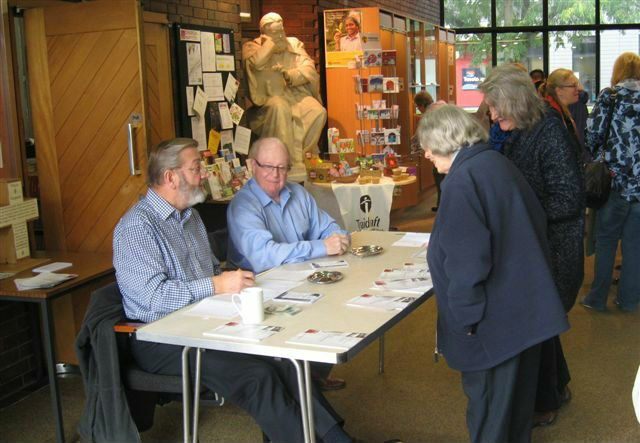 This visit was organised jointly by The Church at Carrs Lane and the Progressive Christianity Network and was supported by The Westhill Endowment. 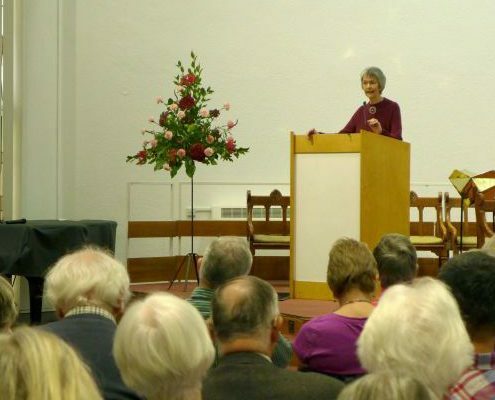 Past speakers have included Bishops John Shelby Spong, Richard Holloway and Peter Selby; Professors John Hick, John Hull, Grace Jantzen, Michael Taylor, Keith Ward and Graham Ward; Karen Armstrong; Revd Inderjit Bhogal and Clare Short MP. Does religion have anything relevant to say to modern society? What do I really think about faith…what do I believe? Do I have more questions than answers? Do I own my own prejudices? When (if) I go to church, do I feel I’m expected to leave my brains behind?